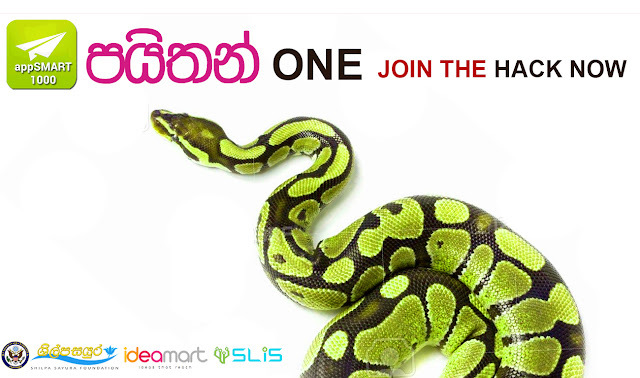 පයිතන් ඉගන ගන්න දින 10ක් පුරා Python ප්‍රශ්න 10 විසඳන්න. Learn Python solve One problem daily for 10 days. දින 10ක් පුරා දිනපතා ඔබට ලැබෙන Python ප්‍රශ්නය විසඳන්න. Complete One Python Problems Daily for 10 days. පාඩම් සඳහා ඒ සඳහා http://shilpasayura.com/dev/python/ බලන්න. පයිතන් one හැකතන් ප්‍රශ්න හැක් ගුරු රවිඳු රමේෂ් (AppSMART) විසිනි.